Extraordinary must be a part of our lives from time to time. Gold panning in British Columbia (Canada), how does that sound? 1. Majority of visitors to this website are from Canada. 2. It is one of two Canadian provinces with good deposits of surface gold. 3. It is a popular tourist destination. 4. The southern part of BC is warm all year-around. So, next time when you plan to visit the Beautiful British Columbia (as it says on car license plates), remember to quickly review this article. As I mentioned in one of the earlier posts, gold can either be found on the surface or below the surface of the earth. There is a geological term for surface gold. It’s called a placer gold. 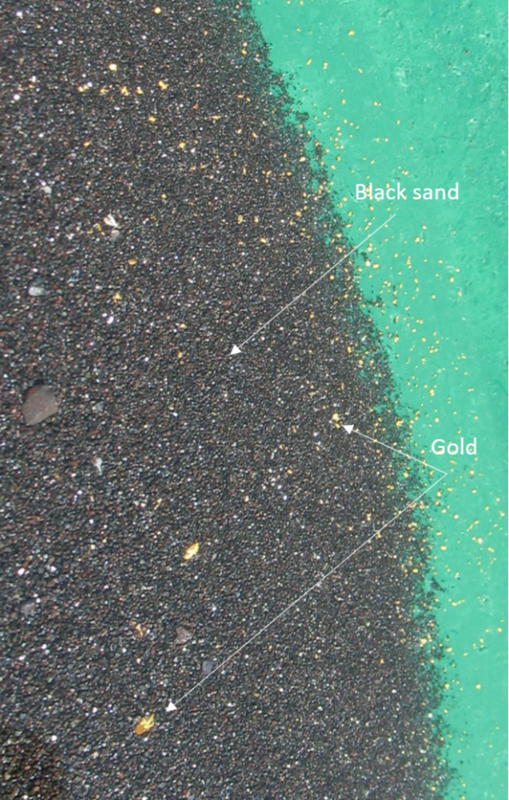 Because placer gold doesn’t require complicated equipment to mine, everyone can look for it. People looked for placer gold 7000 years ago, 100 years ago and yesterday. The relative simplicity of searching for placer gold created numerous gold rush events throughout the human history. Once somebody discovered gold in considerable amounts the news spread like plaque and attracted thousands of venturous folks to that location. If we are talking about North America… In your mind, picture the second half of the 19th century and California. Then Yukon and finally Alaska. These are the locations of three major gold rushes: California Gold Rush, Klondike Gold Rush and Nome Gold Rush. Nowadays, people look for gold either to survive, to complement their earnings or for fun. You belong to the third category I would guess. This is something to try while hiking, camping, fishing, kayaking. All you need is a gold pan and a small hand shovel. Plastic pan is better than a metal one. It weights less, doesn’t rust and you can use a magnet to remove the black sand. To buy a plastic gold pan, check prospecting and rock shops, outdoor/camping stores, hardware and some conventional stores. For example, it is sold in Walmart and Canadian Tire. If you can’t find one, a gold pan is always available online. I checked the official website of Government of British Columbia to see what’s allowed and what’s not. It says that for recreational panning you can only use a pan, a shovel or a metal detector. If you are not planning to make a living out of gold, that’s more than enough. No license or any other permit is required. You must fill in all holes after panning though. Also, according to the guidelines, you can only pan in certain regions. But don’t worry, there is quite a bit of land. 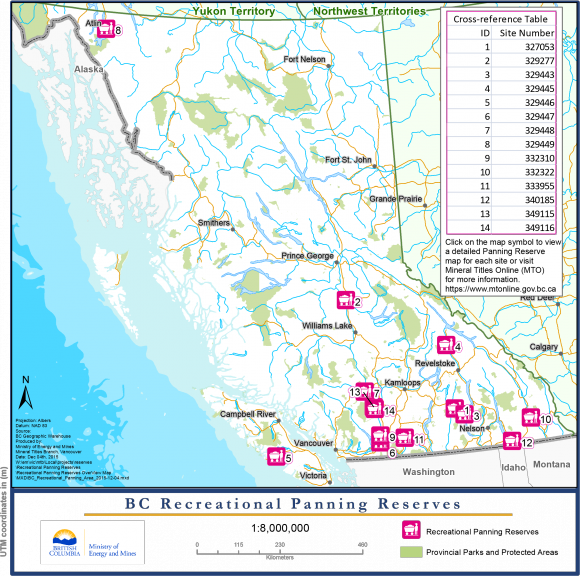 In fact, the Ministry of BC was so nice that created a map of recreational panning reserves! Here you can view the map in full and download it on your PC. Click on the pink squares to see the detailed map of a region. For example, let’s choose a region close to the Revelstoke (marked with “4”). The pink area along the river is where to search for gold. By the way, although you can only see “Golds” on the below map, the full name of a river is Goldstream River. That’s not a coincidence, the name originated from one of the mid-19th BC gold rushes. This Goldstream River is a tributary of Columbia river and was one of the busy spots during the rush. And it looks like it is still a good spot. 1. Once you have picked a region and located where exactly you want to be, fill your pan with about ¾ of sand and gravel. 2. Then submerge a pan underwater and shake it in a left-to-right motion. This motion causes gold and minerals of iron origin (which are heavy) to gradually move downwards to the bottom of a pan, while lighter material gets moved upwards. 3. After a couple shakes, take out the rocks and sweep the material at the top of a pan with the hand. 4. Repeat the procedure of shaking and sweeping until the contents of a pan are reduced to the iron-rich black sand and gold (!) if you are lucky (look at the photo above). The best way to learn is to see an experienced panner do it. So, watch the video below. Note, in this video, to do his panning Parker Schnabel takes the material from the bedrock (which you can do as well). Gold searching is like a lottery game. Everyone has an equal chance of finding it but few find in significant amounts. Although I don’t think gold panning can be compared to fishing or hunting, the excitement should be similar. So, get your hands dirty and process a pan or two! Who knows maybe you will get lucky! Panning for gold is so fun! I remember doing it with my dad when I was ten years old. We went to Barkerville and they taught us how to pan. My old pan is still probably lying around my parents house somewhere. Great times! Should be for sure. It’s gold after all! Thanks for reading Murray. You are by Revelstoke, so the one that is closest to you is No. 4 (look at the map above). 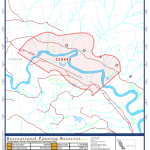 I did a search and this panning reserve is about 100 km north of your place. Here are the screenshots that will help you get there. Have a happy time with your son, and please let me know how was it!